Musicians generally have certain types of ears. It is pretty important to have those ears if you deal with sound all day. Musicians, no matter the style, have all developed awareness towards the components which make up music – melody, harmony, rhythm and texture. For example, dance/house/electronica musicians are what I call textual bosses, in that so much of their work revolves around the ability to make sure the synthesized sounds are performing their assigned function. Check this link below. For Dancehall producers on the other hand, it is all about the rhythm. For them the groove needs to be right. See King Jammy below. I can go on and on and include performing musicians as well because the ability to hear and decode/work out what the hell you are hearing on stage is equally important as in the studio setting. Musicians therefore feel justified in thinking (by their years of discussion and reproduction of what they are hearing) that everyone should hear like them. After all, what is music education other than – this is music – listen to it this way. However, given the general lack of traditional music education in many places, musicians find themselves frustrated when people do not hear music the same way they do. Watch the following link which has done the pandemic viral rounds on the Web. If you did not hear those four chords no problem. It just means that you listened to those songs completely differently to how I did. However, Classical musicians, in whose company I do not include myself, must be saying, can’t they hear that?? Those are the same chords over and over damn it! While jazz musicians (not the pop-smooth ones) are saying that second chord could have been a lot more tasty with some harmonic tension. In short, they are all listening to it with musician’s ears recognizing what they think is musically important and what is musically lacking. But are they in fact justified? Should their (our) listening practices be more respected, appreciated or ‘righter’ than those of the ‘Average Listener’? These are not easy questions to answer. What I do believe is that everyone has a musical opinion and what musicians do is provide different perspectives on that particular experience. I do not however subscribe to the idea that the musician’s way of listening should be the ONLY way a song should be listened to. Take this example from Gyptian. When this song was released in 2006 it was extremely popular. However, musicians would identify some glaring mistakes in the second verse not to mention the horrible tuning of the instruments. But should this take away from the pleasure of the so-called ’Average Listener’ ? In my view, it should not and there are other factors like Gyptian’s approach and singing style that still make this a TUNE!!! To end, the listening experience and who is ’right’ within it is not a topic with easy answers. To me this is the difference between the arts and sciences, all interpretations are valid one, even if musicians think otherwise. So don’t be ashamed when a musician gives you strange looks, we just listen differently! Just look here at Harry Connick Jnr. who is dumbfounded at the aural ignorance of Jennifer Lopez. *There are several good discussions on this by Tagg and Middleton. Check them out. My Music History Content on Slideshare and Free! 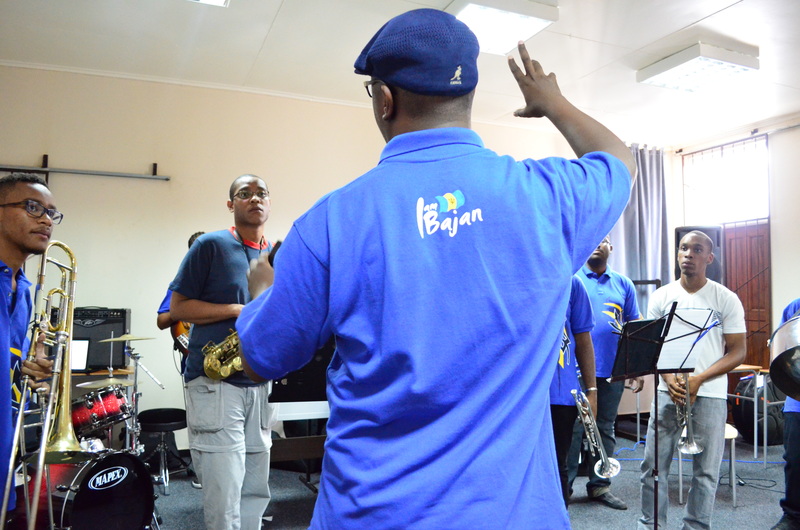 I teach Music History II at the Barbados Community College in the Associate Degree Programme in Music. Music History II is an overview of the music of United States from the work song to jazz to popular music types like rock and rap. Due to financial constraints, the content from the course has been published online on my Slideshare! The link for my Slideshare is always posted here but you can follow the link below.